Zoom Buggy® knows that you care how information about you is used and shared, and we appreciate your trust that we will do so carefully and sensibly. By visiting Zoom Buggy®, you are accepting the practices described in this Privacy Notice. 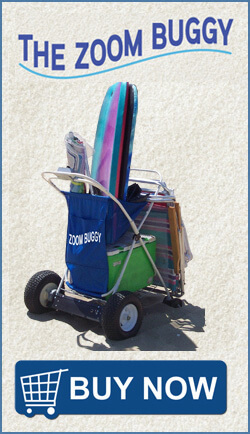 Zoom Buggy® is the sole owner of the information collected on www.zoom-buggy.com. Zoom Buggy® collects information from our users at several different points on our Web site. We receive and store any information you enter on our Web site or give us in any other way, except credit cards and PayPal account information. You can choose not to provide certain information, but then you might not be able to take advantage of many of our features. We use the information that you provide for such purposes as responding to your requests, customizing future shopping for you, improving our store, and communicating with you. We will not share your information with any third parties. Automatic Information: We receive and store certain types of information whenever you interact with us. For example, like many Web sites, we use “cookies”, and we obtain certain types of information when your Web browser accesses Zoom Buggy®. “Cookies” serve the additional purpose of preventing our software from repeatedly sending the same banner ads to the same customers, and allows our software to customize Web page content based on visitors’ browser type. E-mail Communications: To help us make e-mails more useful and interesting, we often receive a confirmation when you open e-mail from Zoom Buggy® if your computer supports such capabilities. We also compare our customer list to lists received from other companies, in an effort to avoid sending unnecessary messages to our customers. If you do not want to receive e-mail or other mail from us, please follow the opt-out instructions below. Our customers can correct, access and update pertinent Personally Identifiable Information obtained through the site. Mechanisms include online, email, telephone, postal mail etc. This helps to assure that the information we collect is accurate and up to date. You can correct, access, and update your personal information by e-mailing Support. If you choose to visit Zoom Buggy®, your visit and any dispute over privacy is subject to this Notice and our Conditions of Use, including limitations on damages, arbitration of disputes, and application of the law of Somerset County, New Jersey. Our business changes constantly. This Notice and the Conditions of Use will change also, and use of information that we gather now is subject to the Privacy Notice in effect at the time of use.